Litecontrol's Vora was created with the future in mind by pushing the boundaries of the current landscape of recessed products. The Open visual allows for direct view to the center mixing chamber reflector. A fresh new look to the architectural market. The Lens visual allows for a more traditional look by incorporating a third lens into the fixture. 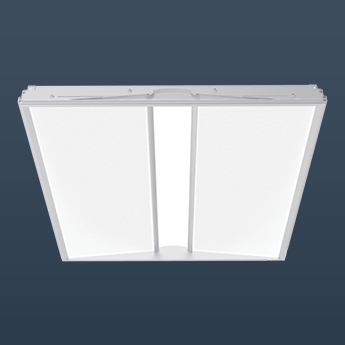 The Baffle aesthetic helps increase visual comfort by reducing glare though the use of a straight blade louver to restrict the view into the center reflector. An upscale take on the open visual, the Decorative center allows for a special graphic insert into the center chamber. 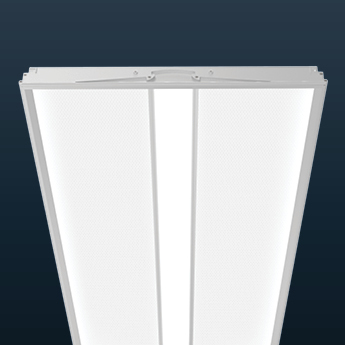 LED boards located at the sides of the fixture direct the light through the acrylic light guides. The light collides with the laser etched optics in the lens to direct the light into the room. Excess light spills into the center mixing chamber and is recycled back out into the space. 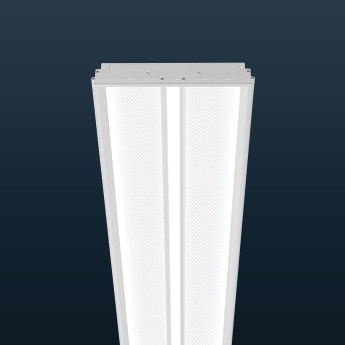 The result is uniform light throughout the entire appearance of the fixture. Vora's universal frame design allows for interface with mulitple ceiling types. A single bracket is added to allow adaption to 9/16th narrow grid. 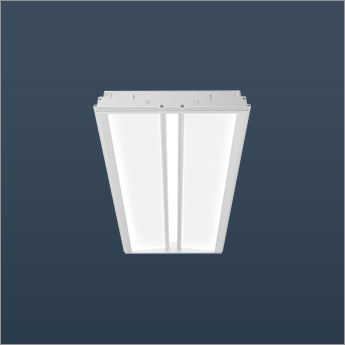 The use of light guides allows for the full lumen output to be spread across the fixture rather than a single, visible source. This results in a reduction of glare and a visually comfortable, quiet appearance. 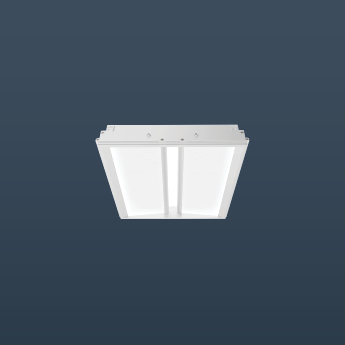 Utilizing edge-lit technology allows for a significant reduction in fixture space, resulting in a depth that virtually eliminates plenum fit concerns. SpectraSync™ is an easy and intuitive white tuning solution offered in two modes to accommodate a variety of applications.